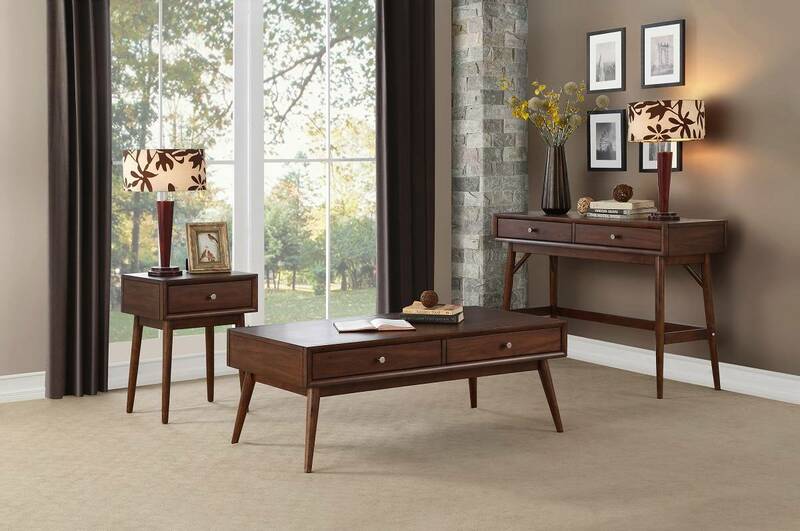 Providing functional use and retro-modern styling for your home is the Frolic Collection. 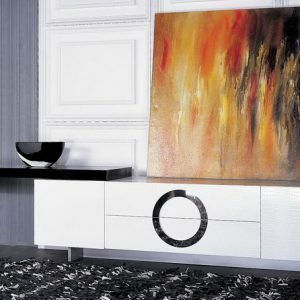 The design of the occasional tables allows for perfect placement within your home to accent your busy lifestyle. 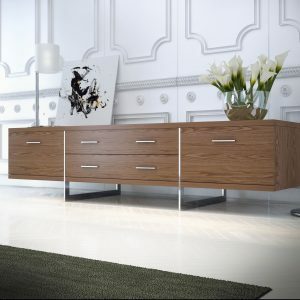 The brown finish combined with polished nickel knob hardware, drawer storage and a Mid-Century inspired profile, all blend effortlessly to create this stylish home collection. 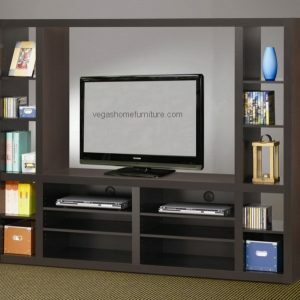 The counter height desk, writing desk and 64-inch wide TV stand allow for perfect placement within your home to fit your individual needs.